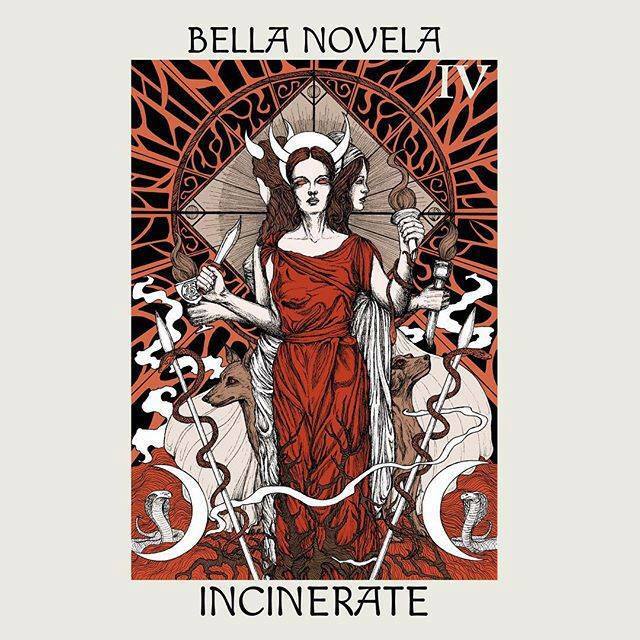 March 20, 2019 (Long Beach, California) – Bella Novela pounce out of the gate with a new record titled, Incinerate. The new album elucidates the changes bubbling up in the current political climate, brought to light by the #metoo movement, and embodies the 'lady rage' generated by the lack of parity for women. The band's work on this record is a musical call to arms to incinerate the patriarchy. Wearing their influences on their sleeves (Iron Maiden, Queen, Abba, The Runaways, Thin Lizzy) the band recorded and co-produced the album with Johnny Cerneka in October 2018 at Pot O’ Gold Recording in Orange, Calif. The tracks were mixed at High Noon Recordings and mastered at Infrasonic Sound by Pete Lyman and Daniel Bacigalupi. Incinerate is out digitally on 4/5/19, followed by the CD release on 4/6/19 (vinyl release date TBA). Bella Novela is Jackie Laws on vocals and keyboards; Jacob Heath on guitars and bass; Jannea McClure on drums and percussion. The ten tracks on Incinerate are 1. "The Reckoning," 2. "Incinerate," 3. "Darkest Hour," 4. "Loved Ones," 5. "Dreams," 6. "War Woman," 7. "Tides," 8. "Haunted," 9. "Faster Than Lightning," and 10. "Battlelines." Bella Novela's previous releases are Telemetry (2014), The Archeress (2011) and Battlelines (2010). The band delivers high-energy, guitar-driven, progressive rock’n’roll with passionate, thunderous female vocals and rapid-fire, aggressive beats. The songs are moody and at times dark, contrasting dramatic vocal harmonies with soaring guitar leads. 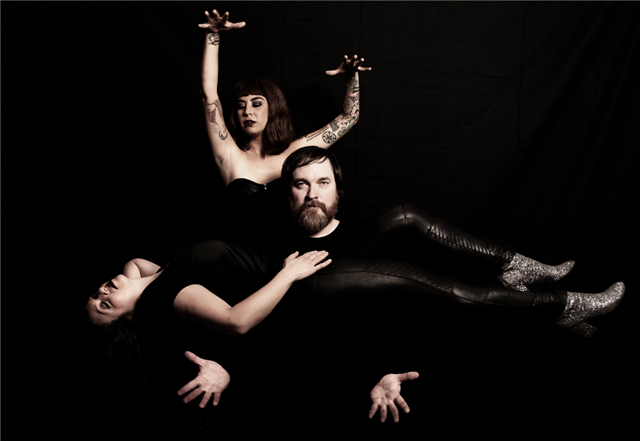 The band has toured with Fartbarf and Well Hung Heart and have shared the stage with artists like Jane Wiedlin (Go-Go’s), Ry Cooder, David J (Bauhaus), Ikey Owens (The Mars Volta, Jack White), Alice Bag, Girl In A Coma, Mike Watt, Chicano Batman, The Dollyrots, Prima Donna and many others. To set-up interviews with Bella Novela or to request review materials (album download, hi-res photos, bio and more), please contact Fly PR: T. 323-667-1344 E. flypr@flypr.net.